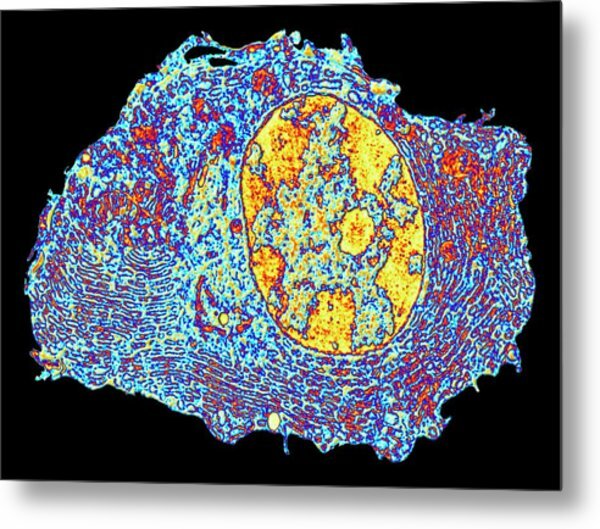 Human Cell is a photograph by Alfred Pasieka which was uploaded on July 24th, 2016. 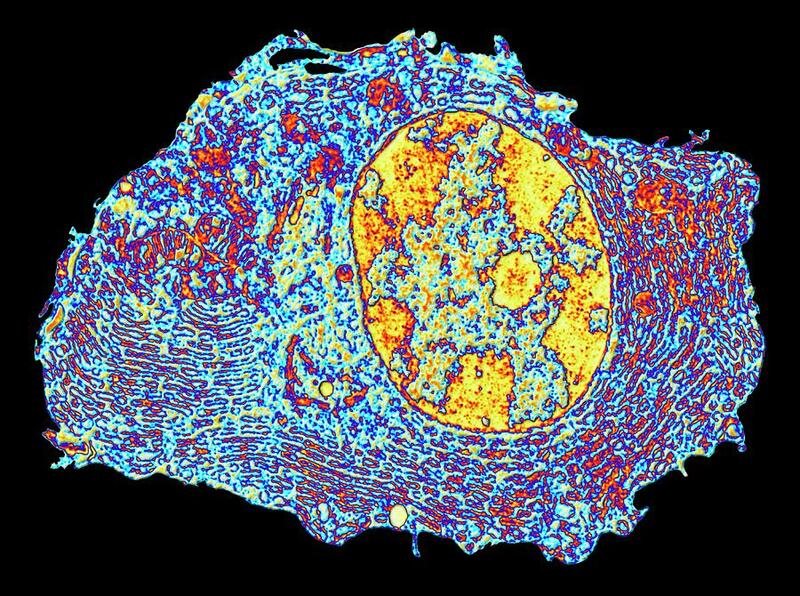 Human cell. 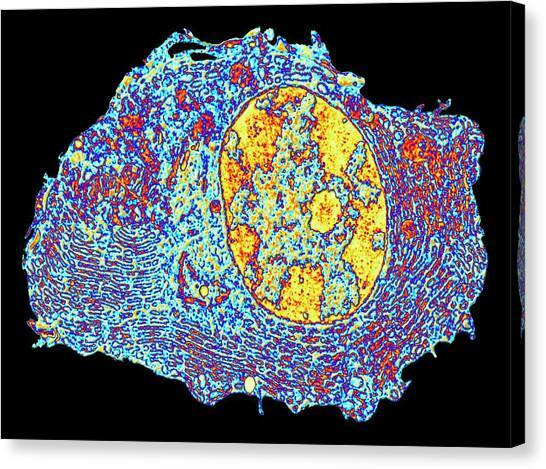 Coloured transmission electron micro- graph (TEM) of a cross-section through a normal human cell. 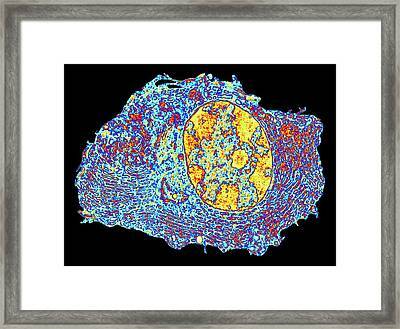 At above centre is the nucleus (large oval) containing genetic material in the form of DNA. 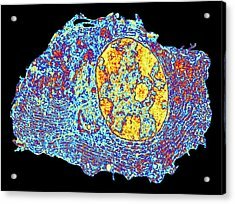 Surrounding the nucleus is cell cytoplasm filled with endoplasmic reticulum. The endo- plasmic reticulum (ER) is a complex system of membranes which form a network of flattened cisternae (cavities). 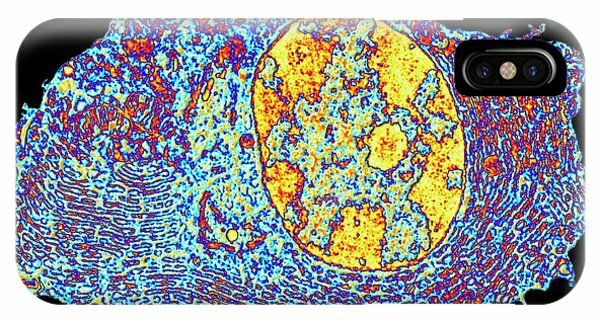 These function as reservoirs and channels for the storage and transport of substances through the cytoplasm. Here, the ER is coated in tiny particles known as ribosomes, responsible for the synthesis of cell proteins. Magnification: x10, 000 at 6x4.5cm size. 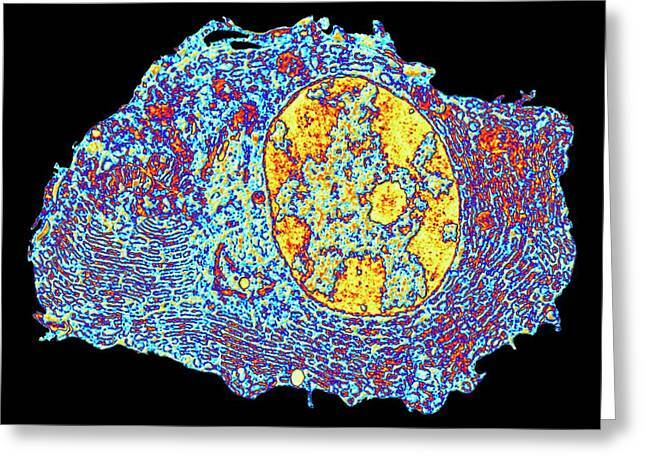 There are no comments for Human Cell. Click here to post the first comment.